Sir William Arthur Lewis (23 January 1915 – 15 June 1991) was an economist well known for his contributions in the field of economic development. In 1979 he was awarded the Nobel Memorial Prize in Economic Sciences. He had dual Saint Lucian and British citizenships. The British Windward Islands was a British colony existing between 1833 and 1960 and consisting of the islands of Grenada, St Lucia, Saint Vincent, the Grenadines, Barbados, Tobago, and Dominica, previously included in the British Leeward Islands. After gaining his Bachelor of Science degree in 1937 and a Ph.D. degree in 1940 at the London School of Economics (LSE) under supervision of Arnold Plant,  Lewis worked as a member of the staff at the LSE until 1948. In 1947, he married Gladys Jacobs, and they had two daughters together. 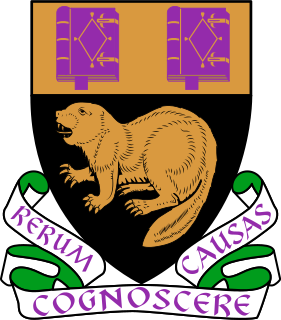 The London School of Economics is a public research university located in London, England, and a constituent college of the federal University of London. Founded in 1895 by Fabian Society members Sidney Webb, Beatrice Webb, Graham Wallas, and George Bernard Shaw for the betterment of society, LSE joined the University of London in 1900 and established its first degree courses under the auspices of the University in 1901. 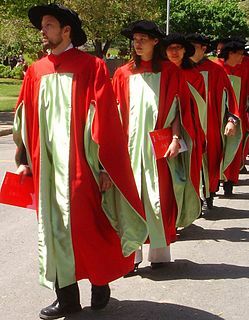 The LSE started awarding its own degrees in 2008, prior to which it awarded degrees of the University of London. That year he was selected as a lecturer at the University of Manchester, and moved there with his family. He taught at Manchester until 1957. During this period, he developed some of his most important concepts about the patterns of capital and wages in developing countries. He particularly became known for his contributions to development economics, of great interest as former colonies began to gain independence from European nations. In 1959 Lewis returned to the Caribbean region when appointed Vice Chancellor of the University of the West Indies. 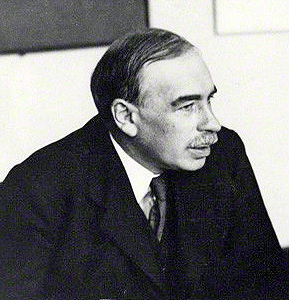 In 1963 he was knighted for his contributions to economics. He died on 15 June 1991 in Bridgetown, Barbados. He was buried in the grounds of the St Lucian community college named in his honour. He was survived by his wife, Gladys Jacobs, Lady Lewis of Barbados and Princeton, NJ; two daughters, Elizabeth Lewis of Cranbury, NJ, and Barbara Virgil of Brooklyn; and four brothers: Stanley Lewis of Ghana, Earl Lewis of Trinidad, Allen Montgomery Lewis, a former Governor General of St Lucia, and Victor Lewis of St Lucia. Arthur Lewis Community College, St. Lucia, was named in his honour. The Arthur Lewis Building (opened in 2007) at the University of Manchester was named for him, as he had lectured there for several years before entering governmental positions. Sir Arthur Lewis Institute of Social and Economic Studies at The University of the West Indies. Sir Arthur Lewis portrait appears on the 100 dollar East Caribbean Bill. Nicholas Kaldor, Baron Kaldor, born Káldor Miklós, was a Cambridge economist in the post-war period. He developed the "compensation" criteria called Kaldor–Hicks efficiency for welfare comparisons (1939), derived the cobweb model, and argued for certain regularities observable in economic growth, which are called Kaldor's growth laws. Kaldor worked alongside Gunnar Myrdal to develop the key concept Circular Cumulative Causation, a multicausal approach where the core variables and their linkages are delineated. Both Myrdal and Kaldor examine circular relationships, where the interdependencies between factors are relatively strong, and where variables interlink in the determination of major processes. Gunnar Myrdal got the concept from Knut Wicksell and developed it alongside Nicholas Kaldor when they worked together at the United Nations Economic Commission for Europe. Myrdal concentrated on the social provisioning aspect of development, while Kaldor concentrated on demand-supply relationships to the manufacturing sector. Kaldor also coined the term "convenience yield" related to commodity markets and the so-called theory of storage, which was initially developed by Holbrook Working. Development economics is a branch of economics which deals with economic aspects of the development process in low income countries. Its focus is not only on methods of promoting economic development, economic growth and structural change but also on improving the potential for the mass of the population, for example, through health, education and workplace conditions, whether through public or private channels. Kenny Davis Anthony is a Saint Lucian politician who was Prime Minister of Saint Lucia from 1997 to 2006 and again from 2011 to 2016. As leader of the Saint Lucia Labour Party, he was Leader of the Opposition from 2006 to 2011 and returned to office as Prime Minister on 30 November 2011 following the 2011 election. He left office after the SLP's defeat in the 2016 election and announced his resignation as party leader. Sir John George Melvin Compton, was a Saint Lucian politician who served as the Prime Minister of Saint Lucia on three occasions: briefly in 1979, again from 1982 to 1996, and from 2006 until his death in 2007. 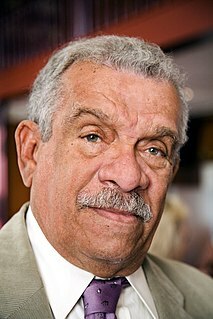 Compton, who previously led Saint Lucia under British rule from 1964 to 1979, was the country's first leader when it became independent in February 1979. He led the conservative United Workers Party (UWP) from 1964 until 1996, and again from 2005 to 2007. 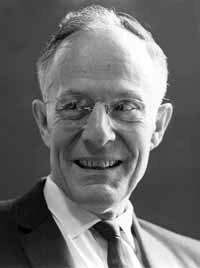 Lloyd Stowell Shapley was an American mathematician and Nobel Prize-winning economist. He contributed to the fields of mathematical economics and especially game theory. Shapley is generally considered one of the most important contributors to the development of game theory since the work of von Neumann and Morgenstern. With Alvin E. Roth, Shapley won the 2012 Nobel Memorial Prize in Economic Sciences "for the theory of stable allocations and the practice of market design." Theodore William Schultz was an American economist and chairman of the University of Chicago Department of Economics. Schultz rose to national prominence after winning the 1979 Nobel Memorial Prize in Economic Sciences. Omicron Delta Epsilon is an international honor society in the field of economics, formed from the merger of Omicron Delta Gamma and Omicron Chi Epsilon, in 1963. Its board of trustees includes well-known economists such as Robert Lucas, Richard Thaler, and Robert Solow. ODE is a member of the Association of College Honor Societies; the ACHS indicates that ODE inducts approximately 4,000 collegiate members each year and has more than 100,000 living lifetime members. There are approximately 700 active ODE chapters worldwide. New members consist of undergraduate and graduate students, as well as college and university faculty; the academic achievement required to obtain membership for students can be raised by individual chapters, as well as the ability to run for office or wear honors cords during graduation. It publishes an academic journal entitled The American Economist twice each year. A dual economy is the existence of two separate economic sectors within one country, divided by different levels of development, technology, and different patterns of demand. The concept was originally created by Julius Herman Boeke to describe the coexistence of modern and traditional economic sectors in a colonial economy. Sir Vaughan Allen Lewis, KCSL CBE is a Saint Lucian politician and a former member of the United Workers' Party (UWP). He served for a brief period as the fourth Prime Ministers of Saint Lucia following the resignation of John Compton. Lewis, a former director of the Organisation of Eastern Caribbean States, assumed the office of Prime Minister on April 2, 1996. He also served as Minister of Finance, Planning and Development, and Minister of External Affairs. In elections that followed on May 23, 1997, Lewis and the UWP suffered a huge setback, losing all but one of their seats in Parliament, forcing him to resign in favor of the leader of the Saint Lucia Labour Party, Dr. Kenny Anthony. The dual-sector model is a model in developmental economics. It is commonly known as the Lewis model after its inventor W. Arthur Lewis. It explains the growth of a developing economy in terms of a labour transition between two sectors, the capitalist sector and the subsistence sector. Felix Terry Finisterre is a Saint Lucian citizen and a sustainable tourism consultant. He is a former teacher, having served at St Aloysius Roman Catholic Boys' School, Corinth Junior Secondary and Teachers' Training College, which was absorbed as the Teacher Training Division of the Sir Arthur Lewis Community College. Sir Allen Montgomery Lewis was a barrister and public servant from Saint Lucia who twice served as the country's Governor-General. Marxian economics, or the Marxian school of economics, refers to a heterodox school of economic thought. 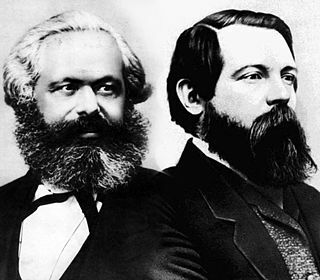 Its foundations can be traced back to the critique of classical political economy in the research by Karl Marx and Friedrich Engels. Marxian economics refers to several different theories and includes multiple schools of thought, which are sometimes opposed to each other, and in many cases Marxian analysis is used to complement or supplement other economic approaches. Because one does not necessarily have to be politically Marxist to be economically Marxian, the two adjectives coexist in usage rather than being synonymous. They share a semantic field while also allowing connotative and denotative differences. ↑ "LEWIS, W. Arthur" (PDF). Archived from the original (PDF) on October 21, 2013. Retrieved 17 July 2015. 1 2 "The Sveriges Riksbank Prize in Economic Sciences in Memory of Alfred Nobel 1979", Nobel in Economics, 1979. Accessed 5 January 2011. ↑ Tignor, Robert L. (2006). W. Arthur Lewis and the Birth of Development Economics. Princeton University Press. pp. 7–8. ISBN 978-0-691-12141-3. ↑ Tignor, Robert L. (2006). W. Arthur Lewis and the Birth of Development Economics. Princeton University Press. ISBN 978-0691121413. ↑ Felix Brenton, "Sir (William) Arthur Lewis (1915–1991)", Black Past website. ↑ "Sir Wm. Arthur Lewis: President 1970 – 1973", Caribbean Development Bank. ↑ Hunt, Diana (1989). "W. A. Lewis on 'Economic Development with Unlimited Supplies of Labour'". Economic Theories of Development: An Analysis of Competing Paradigms. New York: Harvester Wheatsheaf. pp. 87–95. ISBN 978-0-7450-0237-8. ↑ Gollin, Douglas (2014). "The Lewis Model: A 60-Year Retrospective". Journal of Economic Perspectives . 28 (3): 71–88. doi:10.1257/jep.28.3.71. JSTOR 23800576. ↑ Lewis, W. Arthur (1954). "Economic Development with Unlimited Supplies of Labour". The Manchester School . 22 (2): 139–91. doi:10.1111/j.1467-9957.1954.tb00021.x. 1 2 Leeson, P. F.; Nixson, F. I. (2004). "Development economics in the Department of Economics at the University of Manchester". Journal of Economic Studies . 31 (1): 6–24. doi:10.1108/01443580410516233. ↑ "China Reaches Turning Point as Inflation Overtakes Labor". Bloomberg. 11 June 2010. ↑ W. Arthur Lewis (2013). Theory of Economic Growth. Routledge. ISBN 978-0-415-40708-3. Breit, William, and Barry T. Hirsch (eds, 2004). Lives of the Laureates (4th edn). Cambridge, Mass: The MIT Press. ISBN 0-262-52450-3. Lewis, William Arthur (2003). The Theory of Economic Growth. London: Taylor and Francis, 453 pages. ISBN 978-0-415-31301-8. W. Arthur Lewis (1915–1991). The Concise Encyclopedia of Economics . Library of Economics and Liberty (2nd ed.). Liberty Fund. 2008.